Here’s The Best HostGator 25% OFF Discount Coupon Code 2015 & 9.94$ OFF HostGator Discount Code 2015. 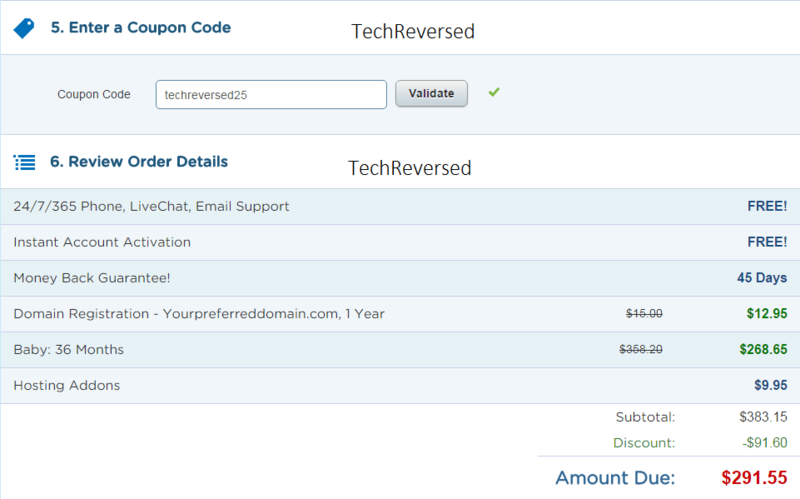 By these Coupon (s) you can get Maximum Discount on HostGator. 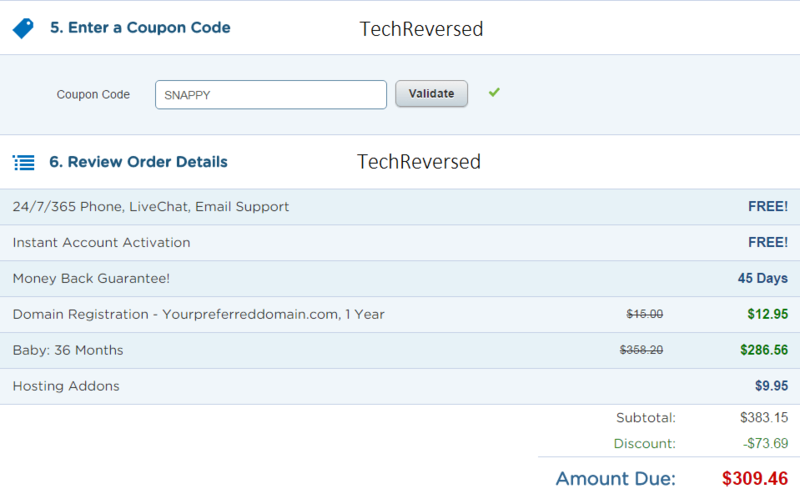 Here’s How to Use These HostGator Coupons. This coupon will provide you maximum discount/benefit for long term plans (we recommend this for long term plans). 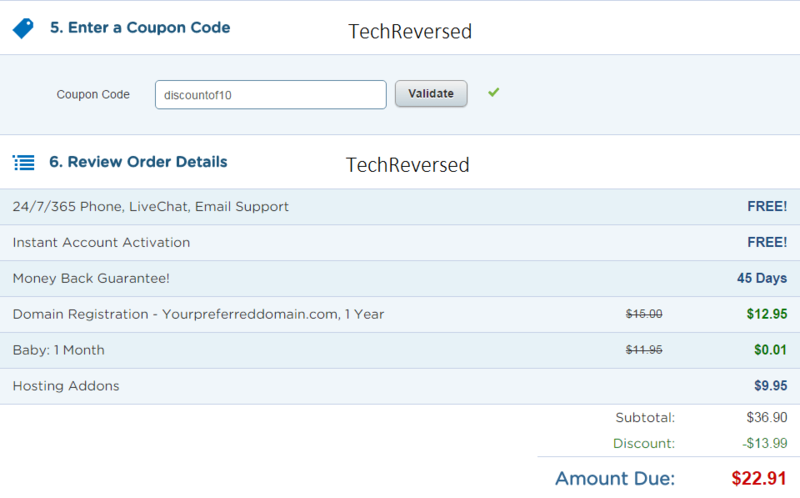 Here’s an example on how you can save using this coupon (techreversed25). In the Screenshot below, you can see we opted for 36 months hosting plan (Baby). 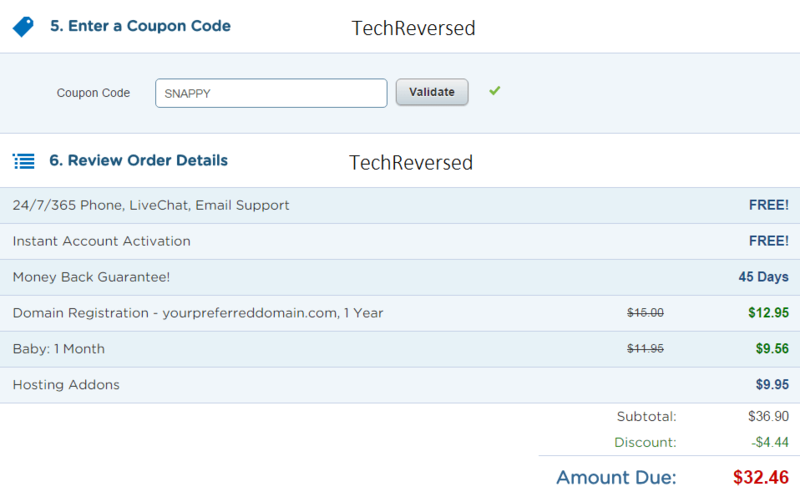 You don’t need to opt for that much but we recommend to use this coupon with at least 1 year hosting plan. (Note you can use this coupon for all plans & any duration). In the above screenshot you can see that you may get 20% OFF by default. In that case TOTAL AMOUNT=309.46$. But after applying the Coupon techreversed25 (Case sensitive). See screenshot below. The TOTAL AMOUNT THIS TIME=291.55$. YOU SAVED 17.91$ (Almost 18$). This coupon will provide you maximum discount/benefit for short term plans (we recommend this for short term plans). Here’s an example on how you can save using this coupon (discountof10). In the Screenshot below, you can see we opted for 1 month hosting plan (Baby). And used the default coupon. (which gives 20% OFF). TOTAL=32.46$. Now after Applying Our Coupon Code discountof10. (See Screenshot Below). TOTAL THIS TIME=22.91$. YOU SAVED 9.55$. If you have any query regarding these coupons, Contact US We are happy to help. How do you like this post, Let Us Know via comments.